Andy and Mamie Hollenback, with sons Bryce and Art. 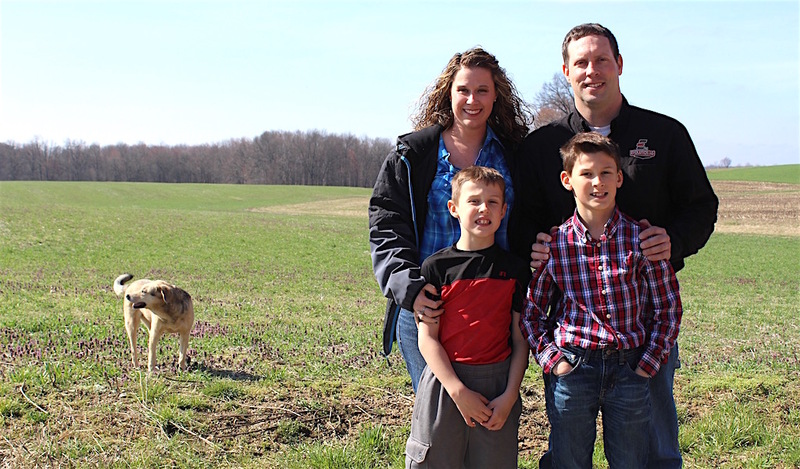 UTICA, Ohio — Andy and Mamie Hollenback took a big risk when they bought their first farm in 2003. While Andy had farming in his background as a child, Mamie did not. And they were young at the time — Andy was 25 and Mamie, 23 — fresh out of college and newly married. “That’s a big jump for some 20-year-olds,” said Andy. Andy’s parents had a dairy farm when he was a boy, but by the time he was in the third grade, they had left farming. He grew up near Pataskala, later earning a degree from Ohio State University in natural resources management. He still had the itch to farm, however, and in the late 1990s, he began helping an area cattle and crop farmer, the late Art Cochran. At about the same time, in 2000, he took a job with the Ohio Department of Natural Resources’ Division of Watercraft, working as a watercraft law enforcement officer. 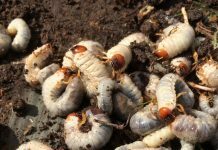 The day job helped fund the farming job, something Andy admits was part of his strategy. Andy’s wife, Mamie, also worked away from the farm. She grew up on the east side of Columbus, in Gahanna, and earned a degree in human resources. The couple met in 2000, working college jobs at Lowe’s Home Improvement. Mamie, now 37, continued her off-farm job until about four years ago, when her oldest son entered kindergarten. Today she works at home, taking care of sons Arthur, 9, and Bryce, 7, and also managing the family’s poultry business. 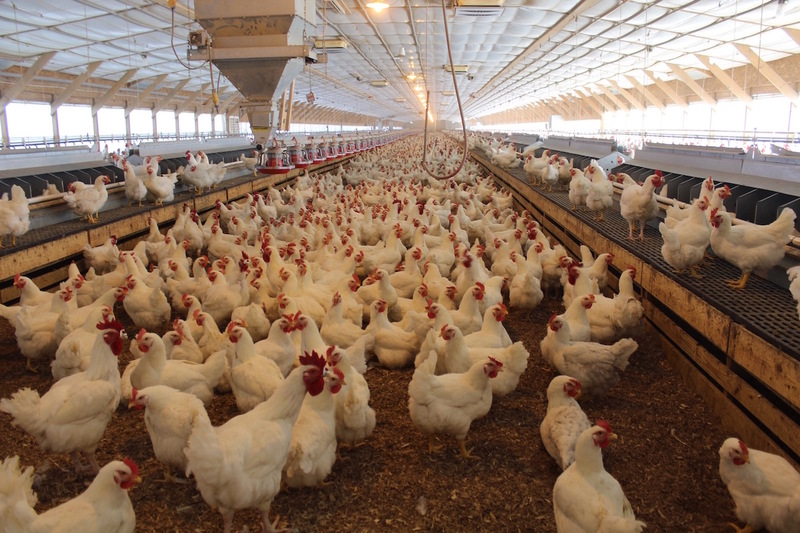 Since 2014, the Hollenbacks have produced cage-free, fertile eggs for Case Farms, which are collected and sent to the hatchery, and hatched and raised as meat birds. The hens produce about 30,000 eggs a day, which are brought into a sorting room on a conveyor belt and hand sorted for shipment. In peak season, the Hollenbacks employ five to six people at the chicken barns. They’ve since bought additional farmland and, combined with land they rent, the Hollenbacks farm about 850 acres and raise some Hereford and Hereford-cross beef cattle. Mamie serves as a Licking Soil and Water Conservation District supervisor, and in 2010 the farm was named Cooperator of the Year. Since buying the farm, in 2003, the Hollenbacks have focused on conservation practices such as grass waterways, cover crops, drainage projects, as well as enrollment in the USDA’s Conservation Reserve and Conservation Stewardship programs. In January of 2016, Andy left his job with ODNR to take a position at Evolution Ag in Utica, to manage their service department. Today, he balances farm life with his day at the dealership. Mamie has caught on to the farm lifestyle, and fully embraces it. But in the beginning, it took some adjustment. “It took several years for me to understand that it’s not an 8-to-5 job,” she said. She recalls a lot of late nights and weekends, and getting used to the fact that the family couldn’t always eat meals together. But it’s a lifestyle she wouldn’t trade. Her children are both learning about chores and taking care of animals, and they’re learning the value of hard work. 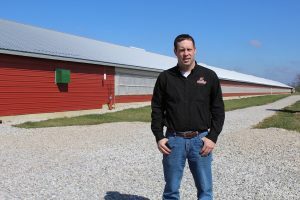 Andy Hollenback, with poultry barn. The Hollenbacks also try to educate children in their neighborhood and local schools about modern agriculture. They’ve held various educational events at their farm, and hope to continue that outreach. Andy was part of the most recent Ohio AgriPower class, an Ohio Farm Bureau Program that develops leaders and advocates in agriculture. “It (AgriPower) gives you an opportunity to see the different facets of agriculture here in Ohio and also out of state,” he said. The Hollenbacks have positioned themselves for growth by adding on to and improving their farm buildings, and they’ve also built their own grain storage bins, which gives them year-round marketing opportunity and helps cut down on the time spent waiting in line at the grain elevator. Andy is optimistic about the future of their farm, but he also knows that to keep it going in the direction he wants, it takes two jobs. He still sees opportunity for beginning farmers, if they’re willing to work hard and work smart. “You’ve got to work at it, you’ve got to plan and you’ve got to be a diligent manager,” he said.